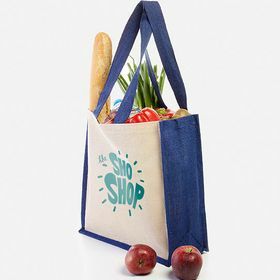 Create high-quality bags with your logo or design. Personalise practical models, with fashionable colours and shapes. With our online design tool, you will be able to personalise your designs easily and combine them with the colours of the bags. We offer different printing techniques, and they all provide the desired result. 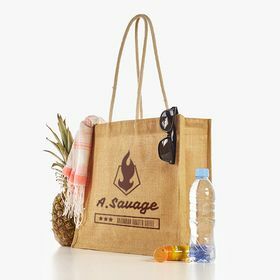 How can you promote your business with personalised bags? At Camaloon we have a huge team of experts from all over the globe working together to produce the best possible experience and results for our clients. We offer an extensive variety of personalised items so you and your company can benefit from any promotional activity. Take a look at our homepage so you can discover all of the promotional merchandise we have to offer. 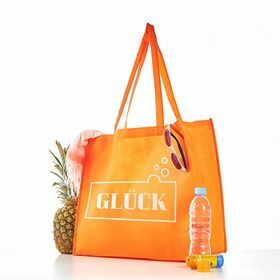 Our advanced DTG and screen printing techniques can also be used to create beautifully designed personalised tote bags with whatever design you see fit to support your brand. If you want to order a large bulk order of T-shirts we recommend selecting the screen printing technique. Whether your company is participating in an event, sponsoring a conference or taking part in any sporting activity, personalised drawstring bags are a fantastic way of spreading your company's image and name; and with our simple-to-use online design tool and our free design review service, we will make sure you are more than satisfied with the end result.